UNU-IAS implements the Grant for Global Sustainability (GGS), an initiative supporting research related to implementation of the 2030 Agenda for Sustainable Development. The SKY project is financially supported as part of its GGS project. The SKY project is expected to make policy and academic contributions to the SDG4 (Inclusive and equitable quality education for all), SDG8 (Inclusive economic development and employment), and SDG9 (Education for achieving inclusive development). 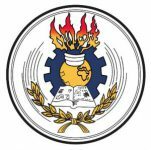 Council for Technical and Vocational Education and Training (COTVET) is a national body set up by an Act of Parliament of the Republic of Ghana. COTVET is establishing Ghana's Technical Vocational Education and Training (TVET) system. COTVET is aiming to improve the productivity and competitiveness of the skilled workforce and raise the income generating capacities of people, especially women and low income groups through provision of quality-oriented, industry-focused and competency-based training programmes and complementary services. Opportunities Industrialization Centre Ghana (OICG) is a Technical Vocational Education and Training (TVET) provider with training centres in Accra, Kumasi and Sekondi/Takoradi. The courses provided by OICG intend to upgrade Trainees’ knowledge to enable them to take advantage of further levels of study to qualify for higher appointments in the Labour Market or go into Self Employment. National Vocational Training Institute was established in Ghana in 1970. The purpose is to provide demand-driven employable skills and enhance the income generating capacities through Competency-Based Apprenticeship, Master Craftsmanship, Testing and Career Development. Mission is to efficiently engage clothing manufacturing industry so as to continuously improve productivity levels through implementation of relevant trainings and world class manufacturing processes to meet evolving customer requirements and the growing global demand for ethically and responsibly manufactured clothing. Vision is to develop innovative and agile manufacturing processes that create a globally competitive clothing manufacturing industry which satisfy people’s lives and continue to capacitate local industry as a preferred and leading supplier of quality clothing. We are excited to participate as an industry in the SKY project because this project gives us an opportunity to use a structured model to assess competence gaps and at the same time allowing an opportunity to benchmark with the other countries participating in the programme. The role of the PTI in the SKY project is to facilitate all the requirements and motivating for industry participation so as to as to view this project as a tool that can be adapted for sector skills analysis required to plan effectively. The economic growth rate of Ethiopia averaged 10.8% per year between 2003/04 and 2014/15. Recognizing the urgent need to develop quality human resources to maintain and enhance economic growth, the Ministry of Education has invested greatly in developing a skilled workforce. However, we still face the challenge that the educated workforce, particularly those from TVET (Technical and Vocational Education and Training), has not fully acquired the necessary competency demanded in the world of work. The findings of the SKY project team from Nagoya University, which are based on rigorous scientific investigation, indicate the exact domains and types of skills which are required by the industries but not satisfied by the existing TVET curriculum under implementation. This indicates further improvement is needed in the TVET strategy based on the occupational standards set by industry based on the country's National TVET Qualification framework. The evidence-based proposals by the SKY team serve greatly to improve the industry-education linkage, make the education and training organically linked to the real world of work, and for the greater economic success of the country. My ministry looks forward to strengthening the partnership through collaborative research with our TVET institute. Aichi Bunka Fashion College was established in 1936 to develop a skilled workforce for the apparel industry. The College is certified as a special vocational institute by the Governor of Aichi prefecture as well as appointed by the Ministry of Education, Culture, Sports, Science and Technology-Japan as a special college that promotes development of an education system for the fashion workforce. We support the SKY project in the development of its skills assessment module. The implementation and review of the skills assessment module can show the comprehension level of our students and be a useful indicator when we give career advice. Nagoya University has been playing a major role as a Japanese national research university, accumulating academic knowledge and building international networks. 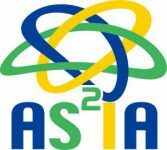 Based on such history and experiences, Nagoya University has established the Applied Social System Institute (ASSIA) aiming to advance our effort as an Asian Hub University. ASSIA aims to contribute to the formation of new academic fields by connecting and fusing disciplines regardless of confined academic fields in order to face global issues and contribute to the development of academic research. The SKY project is one of the ASSIA’s core research projects. The intellectual capacities of the fields of Education Development, Education Measurement, Econometrics Economics, and Regional Studies are brought together to contribute to the policy for skills development of governments of developing countries and to strategies for corporate investment.